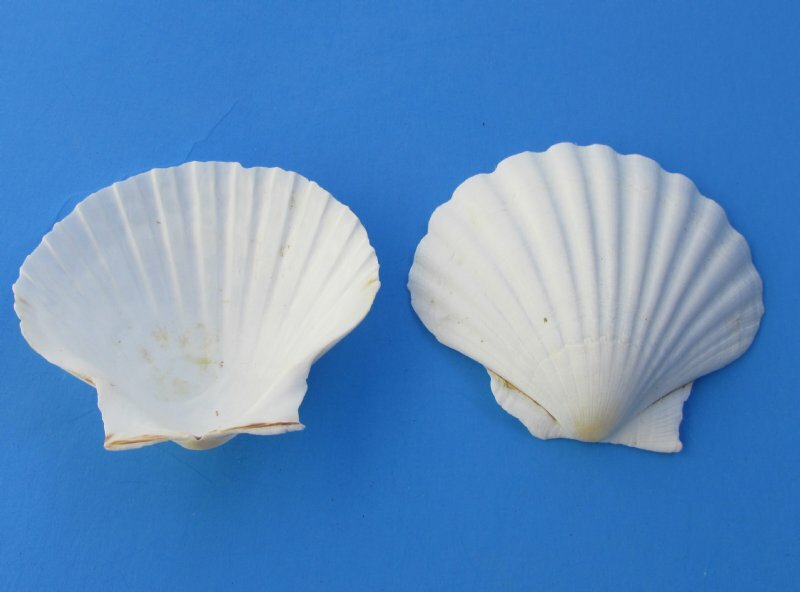 Wholesale Great Scallop Shells Irish Deeps - 4" to 5" - Packed: 25 pcs @ $.35 each. 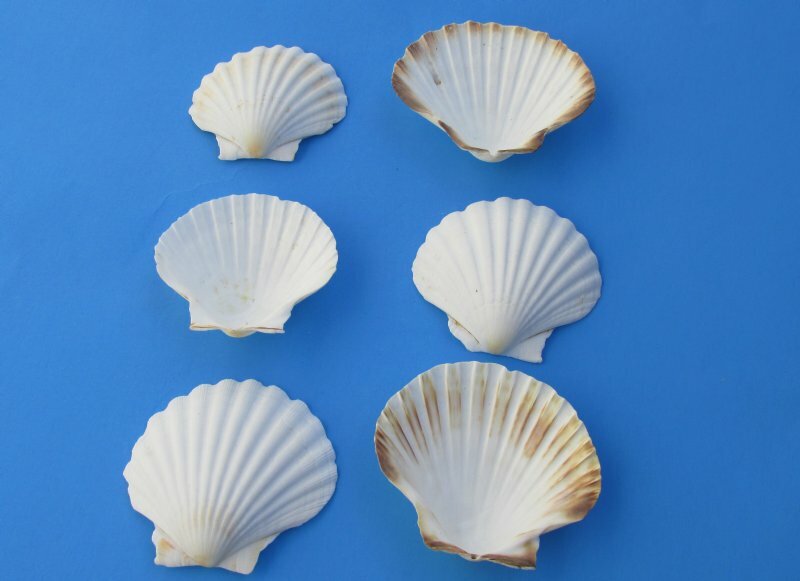 Wholesale Great Scallop Shells, Pecten maximus, also called Irish Deeps or Irish Baking Shells measure approximately 4 inches to 5 inches in size. Wholesale baking shells, great scallop shells are used in baking seafood and used to hold cocktail sauces, stuffed shrimp and scallops. Baking shells and Scallop shells are also use in making seashell angels, and in numerous shell craft projects. They are an edible scallop. These shells are commercial grade and are being sold in a wholesale bulk lot. There will be some shells with chipped edges, and natural blemishes.. We do not sell museum quality shells.